Scouting has delivered on its promise to develop the leaders of our country—in government, the military, the business world, and beyond. Many of these visionary leaders have made their commitment to ensure that the lifelong lessons they learned in Scouting will be available to help shape young people for years to come. Helping to ensure Scouting’s future through an endowment gift is easy to do. The information in this section of our website explains some of the most popular methods supporters use, which fall into three categories: (1) Outright Gifts, (2) Estate Planning, and (3) Annuities & Insurance. Please feel free to contact the Las Vegas Area Council regarding estate planning. We can help educate you on what you need to do and provide referrals to specialists who can help you accomplish your goals. For more information, please call us and ask for a member of the Development Team. Many of our friends and supporters may be motivated to provide an outright gift. These gifts usually fall into three categories – cash, gifts of securities, and gifts of land or other assets. These gifts can provide tremendous advantages to the donor not only in their impact but to their individual tax situation. Scouting’s motto is “Be prepared” yet many of our members and supporters are unaware of how to proceed in preparing a plan. This information is designed to offer guidance. A charitable bequest is a gift of property or cash stated in a will that goes to the council at the death of the testator (the person whose will it is). Donors either place the charitable bequest in a new will when it is made, or they may add it to an existing will by using a codicil. Besides the benefit to Scouting, a charitable bequest is completely deductible from the donor’s estate, often lowering the estate taxes owed. Specific: The donor can gift an item, such as an heirloom or 100 shares of stock. General: The donor can identify a specific amount to be distributed from the estate. Residual: The donor can leave all or part of the estate once the general and specific bequests have been distributed. Contingent: The donor sets conditions for the bequest, such as a son predeceases him. Percentage: The donor affixes a percentage of the estate, such as part of a ranch or 25% of the residuary estate. Bequests in a will can be made to either the council or the council’s endowment fund. The donor may also make the bequest for general purposes or for a specific program or project. Perhaps the most popular and flexible of all the ways to make a major gift to Scouting is the charitable remainder trust. Your gift is placed in a trust. The trust sells and reinvests the assets, and makes regular income payments to you and/or other named beneficiaries. Payments may last either for a specific number of years or for one or two lifetimes. Trusts may be funded with cash, stocks, bonds, land, and even other assets. The payout rate is variable and based on the fair market value to the gift placed into the trust. Payments can be either a specific amount per year (annuity trust) or a fixed percentage (unitrust). Trusts with percentage payouts are revalued each year; as the principal grows in value, the annual income will also grow. After the trust ends, the principal passes to the local council chosen by the donor. The rates of payment, investment philosophy, type of income, and other details can be tailored to provide a financial planning tool that is creative, fiscally sound, and responsive to your needs. It provides a significant gift to Scouting, so you also receive an income tax deduction when you create your trust. It is also a great opportunity to fund the trust with low-yielding, highly appreciated assets; avoid capital gains tax, and increase your income stream. You may also have heard these trusts referred to as charitable remainder trusts, unitrusts, or annuity trusts. Please feel free to contact the Las Vegas Area Council regarding estate planning. We can help educate you on what you need to do and provide referrals to specialists who can help you accomplish your goals. A gift annuity involves a simple contract between a donor and Scouting. In exchange for a gift, Scouting agrees to pay quarterly income to the donor or others chosen by the donor. This income is paid for life, to one or two individuals, and guaranteed by the general assets of the Boy Scouts of America. The donor also receives and income tax charitable deduction. The gift may be of cash, stock, bonds, or shares in a mutual fund. The minimum gift required to receive a gift annuity from the BSA is only $2,500. Though you cannot add to a gift annuity once it is made, you may enter into a many separate gift annuity contracts as you wish. The donor may choose anyone to receive lifetime annual income, and all income will be paid quarterly. However, a beneficiary must be at least 50 years of age at the time of the contract. Most donors select themselves and/or spouse to receive the income. The amount of annual income depends on the age of the beneficiaries. The older the income beneficiary, the more income they receive. At mid-1999, the annual returns for gift annuities ranged from 5.8 percent to 12 percent for donors between age 50 and 90. Most of the gift annuity payments are taxable income to the beneficiaries, but par to each payment is often considered tax-free, the IRS considers part of each payment a partial return of principal. This may increase the effective rate of return, depending on your tax bracket and the cost basis of the property you contribute. At the end of the gift annuity term, the lifetime of the income recipient(s), the remaining value of the original gift is removed from the gift annuity fund and given to the council chosen by the donor. Most gift annuities are currently handled through the BSA Gift Annuity Program at the National Council; this relieves our councils from administrative burdens and state filings and fees. To provide money for a spouse or children who no longer need it? To cover a mortgage on a home or other property that is now paid off? To cover educational expenses you’ve already paid from other funds, or to protect a business that no longer exists or needs help? 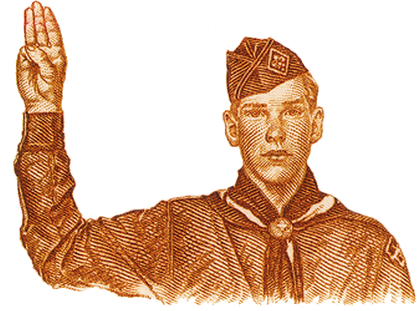 You may find it beneficial to donate such policies to Scouting. Many donors also buy new policies for the sole purpose of giving it to their local council. In general, if you choose to donate a new or existing policy to Scouting, you can deduct from you income taxes and amount roughly equal to the policy’s cash surrender value, as well as any annual amounts you pay to help keep the policy in effect. Name your council as the primary or secondary beneficiary of an existing policy. Name your council as the owner and beneficiary of an existing policy. Buy a new policy and contribute it to the council. Buy a policy on the life of someone else and contribute it (for donors who may not qualify personally for affordable coverage). Buy a policy that benefits your heirs to replace a gift to Scouting you’ve already made. The available income tax deductions for a gift of insurance may vary depending on the type of policy donated. You should seed advice from you own adviser, and get an appraisal of your policy’s value, prior to any donation of an existing policy. A donor will receive a tax deduction, and the value of the policy will be removed from a donor’s estate for probate purposes, only if a charity is named both owner and beneficiary of the policy. Contact Cameron Bomstad for more information.